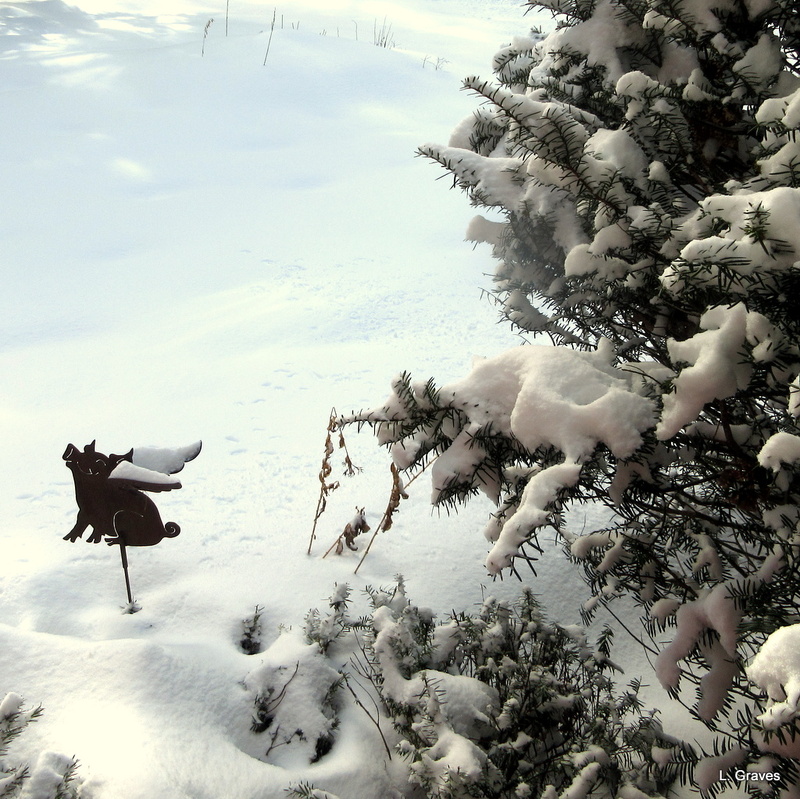 We got a lovely fluffy eight inches to a foot or so yesterday and overnight, so light that it is not even shovelable–a broom will do it. It is very gorgeous, and kind to the trees! Kind to the gardens, too. Love a bit of piggy whimsy! Does this mean that Spring will arrive when pigs fly? It sometimes feels that way, doesn’t it? I am happy he has wings….. The pig looks elegant and undefeated by the snowfall. A gift from my mother. Pretty darned cute! A charming pig. It made me smile! That is a sweet little garden pig, Laurie!